It has begun! With last night’s Kick Off Party, the 2015 Fringe Festival has commenced with two live bands, the first of this year’s Channel Fringe Hard-Hitting Action News Update hosted by Chris Wesselman and Andrew Hungerford, and lots of great conversation. I hung out with good friends, made some new ones, and generally soaked in the Fringey atmosphere. That’s really my favorite part. 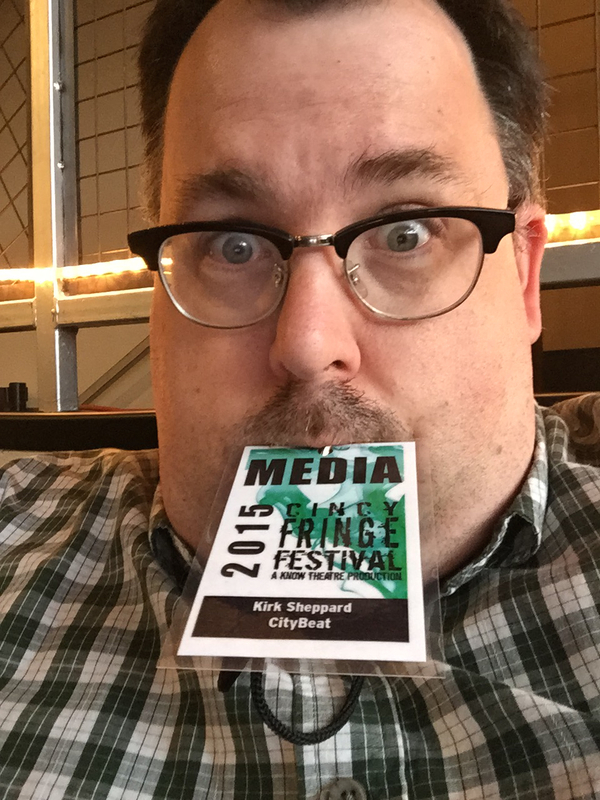 Sure, I love the shows; heading into Fringe I’ve seen 123 different productions since last July. But the best part of Fringe – and all of theatre, really – is the people. Connecting, networking, and just celebrating the various unique personalities that make up our local theatre community is what drives me to write this blog in addition to absorbing the fantastic art that those personalities create. So, as you run from venue to venue catching as many productions as possible, I’d urge you to carve out a few minutes each day to hang out in the Underground. If you see me there with my laptop, don’t be afraid to interrupt. I’d much rather share a drink (a Cranberry juice or Coca-cola for me) and chat with you than do anything else. Tonight I’m seeing both METH: A LOVE STORY at Know Theatre and BOXED UP at SCPA and will have commentaries at CityBeat.